For the last decade, the organization known as ATL Collective has been bringing Atlanta musicians together around a shared love of classic albums. What started in 2009 as some ideas scrolled on a napkin and an opportunity to put on live music above a coffee shop turned into an Atlanta live music institution. 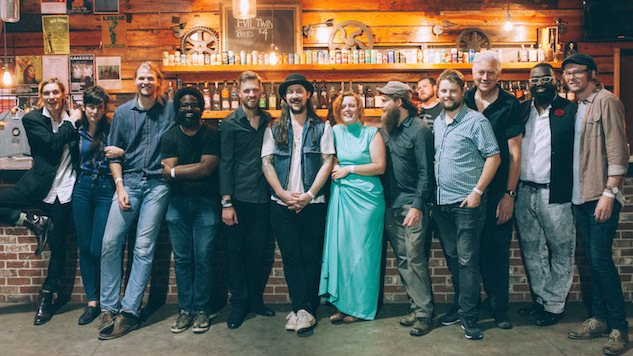 ATL Collective’s main attraction is a popular local concert series in which Atlanta musicians interpret and perform iconic albums live in full. ATL Collective wanted to help unite musicians in the city with a concept that was inclusive and collaborative rather than elitist and competitive. In the early days, they hosted monthly DIY pop-up shows in Atlanta’s Old Fourth Ward. They chose albums, recruited musicians and rounded up local restaurants to donate food that tied into whatever record was chosen for the show (mac and cheese for Fleetwood Mac or red velvet cake for the Velvet Underground). The concept allows people to uncover the talent of both up-and-coming and veteran Atlanta musicians while enjoying music that’s already familiar to them. To put their success into context, they’ve covered 93 albums across 15 different venues with almost 25,000 combined attendees throughout their almost 10-year history, according to their website. You can check out ATL Collective’s upcoming shows here, and you can donate to the organization directly here.